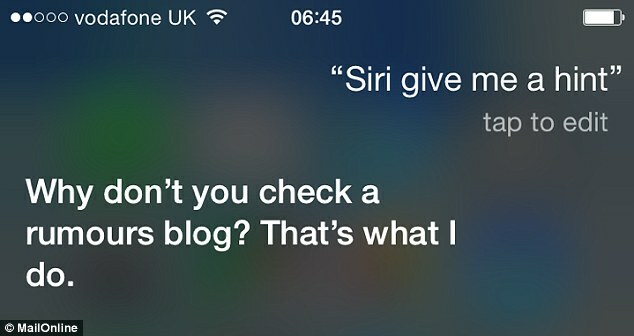 Even Siri knows what's up. I'll freely admit the title smacks of click-bait, but once I explain why, you'll understand. September 9th was the day for Apple to host its annual event to announce new iDevices, and I get stuck in commenting on what they mean for the industry, and what they are, for those of you who prefer to stay away from the world of unibody aluminium engraved with a certain fruity logo. Every year, the tech-heads among us, mainly the ones whose desks are typified by a glowing Apple logo on the lid of their laptops, throw some coal in to fuel the hype-train, and steam merrily along to what the internet offers us. This includes blogs of blurry photos showing leaked devices, spec sheets some forgetful employee accidentally uploaded to an obscure carrier website that someone, amazingly enough, was monitoring, and so on. And 2015 was no different. Apple is well-known for taking a Intel-esque 'tick-tock' approach to their mobile devices line around September each year. That means one year is big visual hardware changes and "unbelievable new processes" (TM); and the next year is generally just a internal spec bump and some marketing speak for whatever new version of iOS is coming out. And because last year was the iPhone 6 and 6 Plus along with the suitable iPad Airs and minis, the change that enlarged iPhone screens and brought in a big-daddy device for the phablet fans in the Cupertino faithful, this year was the S year. 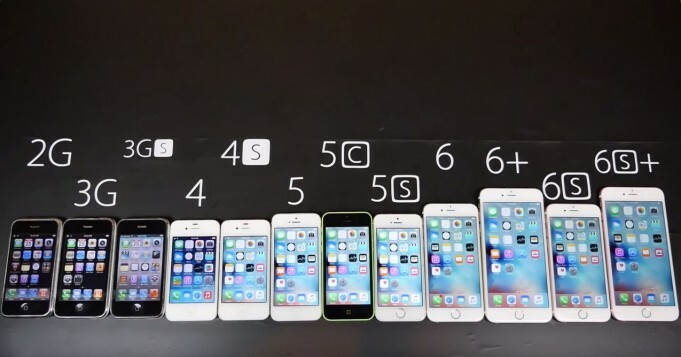 As you can see, from the "standard" to "S" iPhones, not much changes. The big stuff is number-to-number. 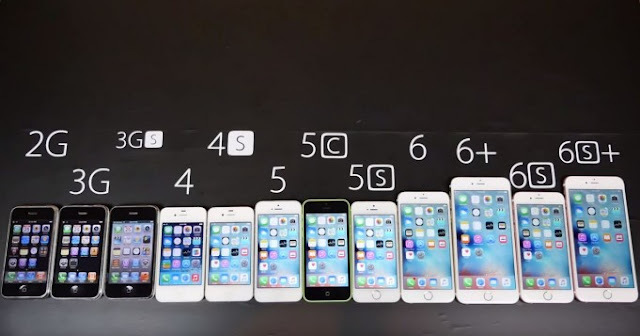 The picture tells the story with the S-badge iPhones this year. That is, visually, there is no story to tell. Unless you're the kind of person to peer at the back of the phone, you probably won't notice the new "S" moniker on the back and the lack of FCC compliance markings on the 6S and 6S+. Which leaves us to search for other differentiation points between the R11745 iPhone 6S base 16GB model (seriously? 16GB? Why Apple, and Samsung, and other OEMs for that matter) and the R9999 iPhone 6 16GB model, as well as between the even more stratospherically-priced 128GB flavours, all the way up to the top-end R19 799 iPhone 6S+ 128GB. If you believe Apple, the only thing that's changed is everything, and if by everything you're referring to the internals, then you might have a point. Apple is using a 64-bit dual-core A9 chip clocked at 1.84GHz with 2GB of RAM and a PowerVR GT7600 GPU in this year's iPhones, versus the A8 at 1.4GHz with a 'inferior' PowerVR part and just 1GB of RAM keeping last year's iPhone 6 humming along. New transistor architecture; we'll have to take your word for it? Android fans will be laughing and shaking their heads at those comparatively feeble numbers, when spec-behemoths from Samsung and LG duel in Google's candy-land throwing 3GB and sometimes even 4GB (Thanks Asus Zenfone!) of RAM around, kept alive by octo-core Snapdragon monsters clocked at well over 2GHz. But as usual, the vast OS and integration differences between Android and iOS is where the answer lies. An open-source (or as much as Google will want that) OS running across tens of thousands of unique configurations, compared to a tightly walled-garden OS running on a handful of phones, means that iOS can be finely tuned and optimised to work excellently with lower hardware requirements, because optimisation for a few devices is actually viable. Android generally follows the "throw hardware at it" approach simply because of the vastness of the ecosystem. Let's be honest though, 64-bit processing is impressive, and from hands-on impression, Apple has done an excellent job in designing its A9 architecture to deliver on daily performance, not just benchmark numbers. optics on the S-badge iDevices this year. The outgoing 6 and 6+ have 8-megapixel cameras with 1.2MP 'selfie' cameras, while the S-badges are sporting 12MP rear and 5MP front cameras. Sure, megapixels don't mean as much compared to sensor quality, but in this case it does help. For the first time, iPhones now record video in 4K resolution, something you'll immediately want to turn off, if you own a 16GB 6S or 6S+. While Android has had the lead in the resolution race, enjoying 4K recording on devices for some time now, iPhone still reigns supreme in the imaging department, and from the reviews, this year's batch of S-badges are still the smartphones to beat when it comes to image quality. Finally, to round off the phone side, the 6S and 6S+ have smaller (yes, smaller) batteries than last year, to accommodate for the new ForceTouch--er sorry, 3D Touch, Taptic Engine Apple has implemented. And yes, the naming mistake belies the feature: just like the super-skinny USB-C touting MacBook launched earlier this year, the new iPhones' screens now "do" Force touch like the MacBook's trackpad. Functionality is, well, as you'd expect. Press HARDER (not longer, mind you) on the screen to get extra content, menus and context in iOS. Essentially, it's the Android long-press functions, with a hard-press in iOS. Clever, cool to watch, super useful, and probably the next standard, but in resulting iOS features, probably not too much new. At the same premium price point as the Surface line! So where does the Surface, and Microsoft, part come in, you ask? Well, the press conference wasn't all about iPhones, there were new iPads to be revealed too. One of them, the iPad Surface. Excuse me, I mean, the iPad Pro. Now sure, attack me for the Microsoft comparison, but let's face it, whenever a new phone arrives, inevitably, comparisons are made to the new iPhone. So now, Apple has the iPad pro, a larger version of the iPad aimed at business users, with a monstrously powerful processor and a stylus, snigger-inducingly called the Apple Pencil and costing an eye-watering R1330. Not to forget the (also optional) keyboard, which will relieve your wallet of R2271 on top of your investment in the actual device, which can be anything from R10736 to R12759 and upward for the top-end models with LTE. Bear in mind these prices are direct conversions from the US dollar, and when they do reach our shores, expect a premium on top of these prices. Number-crunching aside, why does this product even exist? Why does Apple find itself trying to appeal to business users with a 12" tablet that has a stylus? That last point alone is totally anti-Apple theology, as it were. The answer, weirdly enough, is Microsoft. The Surface line of devices has essentially defined the portable tablet market for businesses since it came out, with its Surface Pros and most recently, the Surface Book (that article is coming soon too!). And for Apple, this means a market segment they aren't really addressing. Sure, your graphics, music, artist pros use iMacs and such for their work, but the true corporate pros are mostly powered by Windows, and strutting around with their aluminium Surface Pros. That's a large chunk of business users that Apple hasn't traditionally been able to reach, and with this iPad Pro, Apple has tried to make a Surface competitor which offers the features that the Surface has; business appeal, a large form factor, some kind of stylus, and a Touch Keyboard (oh wait, that's Microsoft's name again). And in some sense, they've gotten it right. But to get it completely right, you need a killer app that most businesses use. That killer app is Office. And as with all weird things that happened during the announcement, this was one of them. I suspect hell may have frozen over when, at an Apple event, a Microsoft logo appeared on-screen, and Kirk Konigsbauer stepped onto the stage. Naturally, as you'd expect, he announced Office for iPad Pro, with all the new bells and whistles of multitasking iOS 9 brings to the table. So that's it then, Apple, for the first time since perhaps the first iPhone, is acknowledging that they have become the market followers in this category, and need to follow the example to reach a market they couldn't before. Evolutionary, not revolutionary, was the name of the game at this year's Apple event. Expected launches, unexpected launches, and surprising partnerships were forged, but all we know is, Apple will continue to garner excited fans for their iDevices for the considerable future. The question is, how to remain relevant, now that the first acknowledgement of playing catch up is in the wild. Thanks for reading, share this on your social avenues, and return soon for more tech coverage on the blog!